Dr. Westfall is core faculty and the Director of Osteopathic Education for the University of Minnesota Mankato Family Medicine Residency. She developed the osteopathic education for her program, and serves on the American College of Osteopathic Physicians (ACOFP) Committee on Osteopathic Recognition. 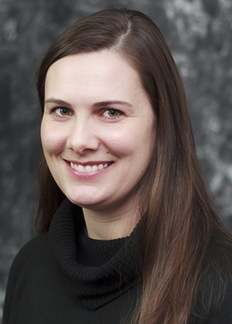 She is an adjunct assistant professor of family medicine at Mayo Clinic Medical School, and adjunct associate professor at the Des Moines College of Osteopathic Medicine. Her research and academic interests include health equity and food security, osteopathic principles and practice and oral health. She is currently developing a medical-dental integration clinic within the Mayo Clinic Health System-Eastridge Children’s Center. Slattengren A, Nissly T, Blustin J, Bader A, Westfall E. Best Uses of Osteopathic Manipulation. J Fam Prac. 2017: 66(12): 743-747. PMID 29202144. Westfall E, Brandenburg D. Probiotics and Mood Symptoms. Am Fam Phys. 2018; 15 (97):6. PMID 296715545. Bader A, Westfall E. Workup of Isolated Alkaline Phosphatase. Evidence Based Practice. April 2018. Bader A, Westfall E. Does prophylactic antibiotic therapy reduce frequency of COPD exacerbations? Evidence Based Practice. March 2019. Bader A, Westfall E, Buffington A. In obese patients with type 2 diabetes mellitus is surgical intervention better than intensive lifestyle and medical therapy in achieving remission? Evidence Based Practice. March 2019. Cristiani, V, Brickley, J, Brumm, J., Bryan, M. Chawla, V., Cook, W., Goharfar B., Haigh J., Hanson M., Jacobson R., Lynch B., Green A., Schnaith E., Westfall E. “Infancy screening recommendations/Early childhood screening recommendations Care Process Model” published June 9, 2016 in AskMayoExpert, updated 2017, 2018. Westfall, E. Cooper, B. Working Toward Medical Dental Integration, Minnesota Oral Health Coalition and Olmsted County Children’ Oral Health Task Force, Rochester MN, October 2018. Westfall, E. Community Asset Mapping in MCHS, Office of Health Disparities Research Annual Retreat, Rochester MN, August 2018. Erickson R, Dabrh A, Thacher R, Cristiani V, DeJesus R, Deming J, Grover M, Lister L, Olson C, Presutti R, Westfall E, Witt T. “Experiences of an Internet-Based Learning Collaborative” Accepted for presentation at the 2018 North American Primary Care Research Group (NAPCRG) Annual Meeting, Chicago IL, November 2018. Maass Z, Colvert J, Westfall E, Buffington A., “Treating Acute Ankle Sprain with the Fascial Distortion Model: A Pilot Study” presented at the American Sports Medicine Association (AMSSM) National Conference, Orlando FL, May 2018. Maass Z, Terra A, Westfall E, Buffington A., “A Hands-On Approach to Athletic Hip Pain: A Case Report” presented at the American Sports Medicine Association (AMSSM) National Conference, Orlando FL, May 2018. Member, Early Childhood Dental Network, Blue Earth/Nicollet County, 2016-present. The Early Childhood Dental Network (ECDN) is a grassroots effort across multidisciplinary agencies designed to raise awareness about early childhood oral health. Based on local needs, the ECDN will develop goals around increasing oral health education for children birth to age five and their caregivers, as well as address access to oral health services. Member, Mankato Area Care Network, 2016-present. Working formally and informally with community organizations to evaluate and address the needs of the local community; discussing the integration and coordination of services; staying informed about MN Health Care Reform initiatives.This includes developing action plans and reviewing/performing the Community Health Needs Assessment for Blue Earth and Nicollet Counties and Participatory Asset Mapping at events to improve knowledge of resources in the community.